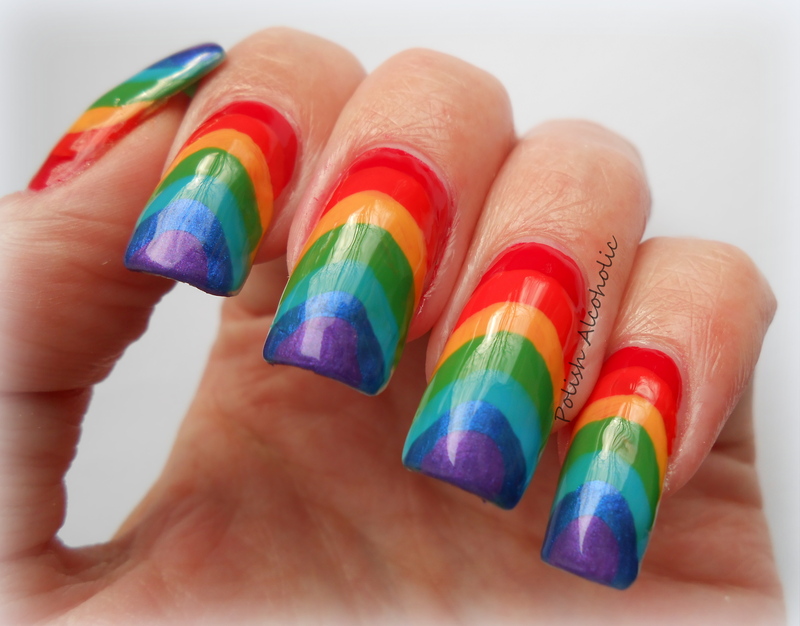 This entry was posted in Challenge, Nail Art and tagged nail art, pre-spring challenge, pre-spring event, rainbow nail art, rainbow nails by Polish Alcoholic. Bookmark the permalink. 😀 Blij om dat te horen! Komt door alle kleurtjes denk ik. Ik word er ook direct vrolijk van! I was so excited to see rainbow day, and this didn’t dissapoint!!! I would get this permanently tattooed on my nails if I could. So bright and funky ! I just did a genuine Wow! our loud. These are amazing.